In season two of Riverdale, tensions between the North and Southside were at an all-time high—stoked by Hiram Lodge with the help of Reggie Mantle, and intensified with the Black Hood’s unexpected re-emergence. A civil war seemed imminent. A riot brought out the worst (and best) of Riverdale and its citizens and culminated in the shocking arrest of Archie Andrews. In season three, it’s the start of Junior year and the gang is forced to think about something new—their future. 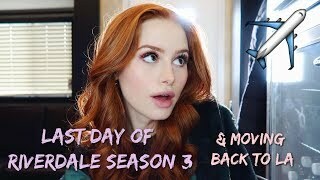 But with Hiram now in control of the Southside, Archie on trial for murder, and complicated romantic relationships forming, fans can expect a gripping start to the new season.